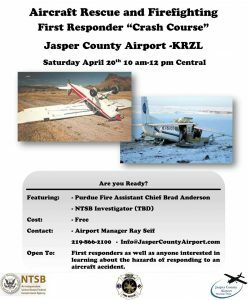 Free training to show first responders, or anyone interested, the hazards associated with responding to an aircraft accident. Training conducted by Purdue Fire’s Assistant Chief Brad Anderson at the Jasper County Airport. Kankakee Community College south extension. 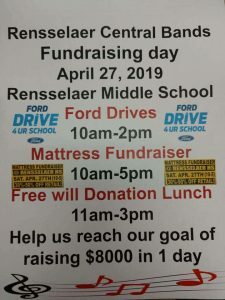 Ford Drives 10am-2pm and Mattress fundraiser 10am-5pm plus a free will donation Lunch from 11am-3pm!!!! Jasper County Airport will host a question and answer session at the airport on April 15th from 5-7 pm central where students and parents can learn about the upcoming aviation education program available to RCHS students and other schools through a coop with RCHS and Indian Trails Vocational Coop.